Brandon Bird's Brandon Bird-O-Rama! : Hold on to your butts. Hi everybody! Come to my no-dinosaurs Jurassic Park art show! “The JP Show” pays tribute to what we all remember most about the Jurassic Park film series: larger-than-life characters and compelling human drama. 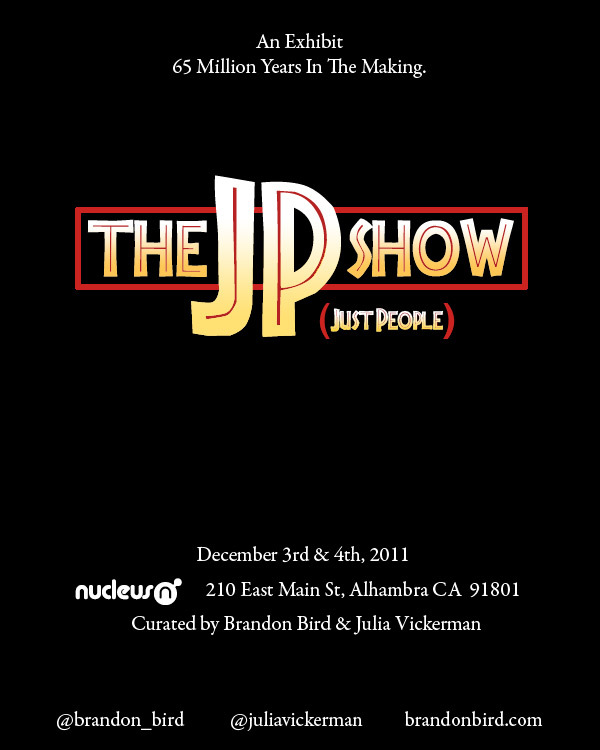 The show runs December 3rd & 4th in the upper gallery of Nucleus (in my opinion the best gallery space in the Los Angeles area), with an opening reception party the night of the 3rd. Close to thirty artists are involved so far; stay tuned for more info about just who and what will be in the show. And of course all the work will be viewable online when the show goes up.